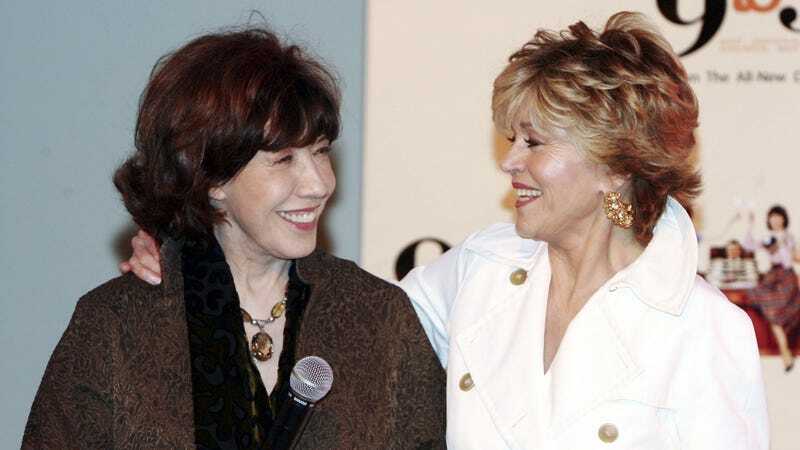 Fans of 9 to 5 or fans of great actors or fans of just plain good news will be excited to learn that Jane Fonda and Lily Tomlin will be starring in a new Netflix series about "long-time rivals brought together by a rather unusual change in their marital circumstances" called Grace and Frankie. The single-camera comedy focuses on nemeses Grace (Fonda) and Frankie (Tomlin) facing the last chapter of their lives, though not in the way they expected. When their husbands announce they are in love with each other and plan to get married, the women find their lives both turned upside down and to their dismay, permanently intertwined. Eventually, to their surprise, they find they have each other. Adding an extra dollop of "super cute" to the whole plan: Fonda and Tomlin are real-life friends.